110 North Wynden Estates Court, Houston, TX 77056 | Martha Turner Sotheby's International Realty, Inc. Stately and Spacious Patio Home in great location in small gated community. 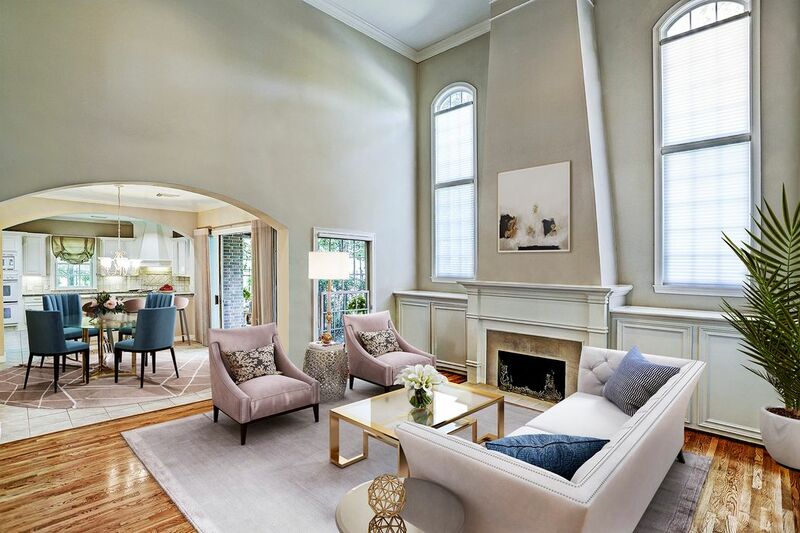 Family room has soaring ceilings, gleaming refinished hardwood floors, incredible windows offering so much light, access to private patio and open floor plan to breakfast room. Picture is virtually staged. 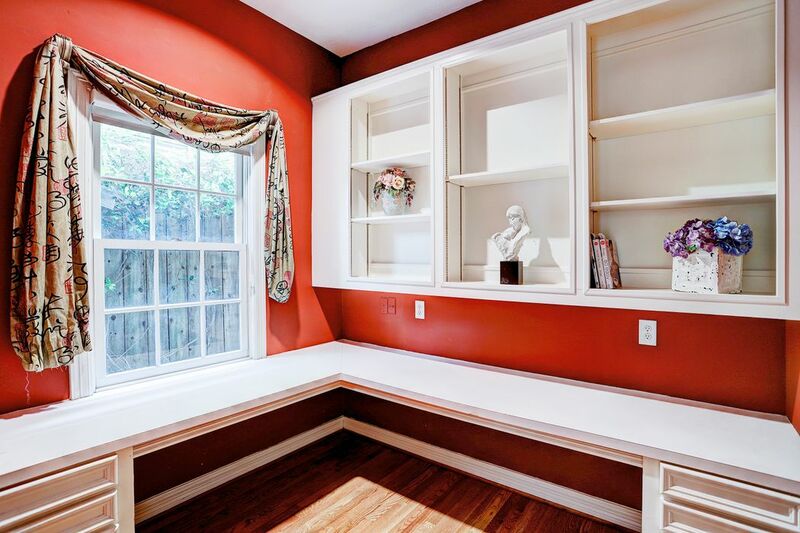 Charming breakfast room opens to kitchen and has sliding doors to covered brick patio.Picture is virtually staged. 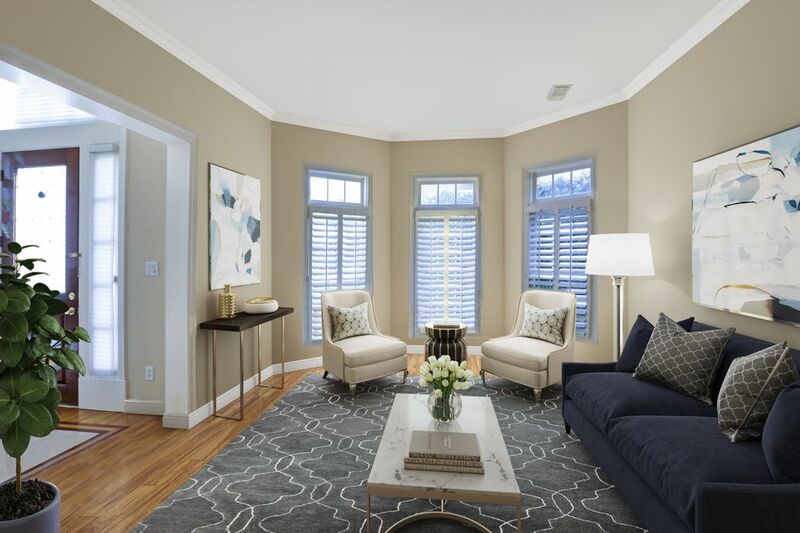 Formal living room with hardwoods, plantation shutters and great windows overlooking front walkway.Picture is virtually staged. 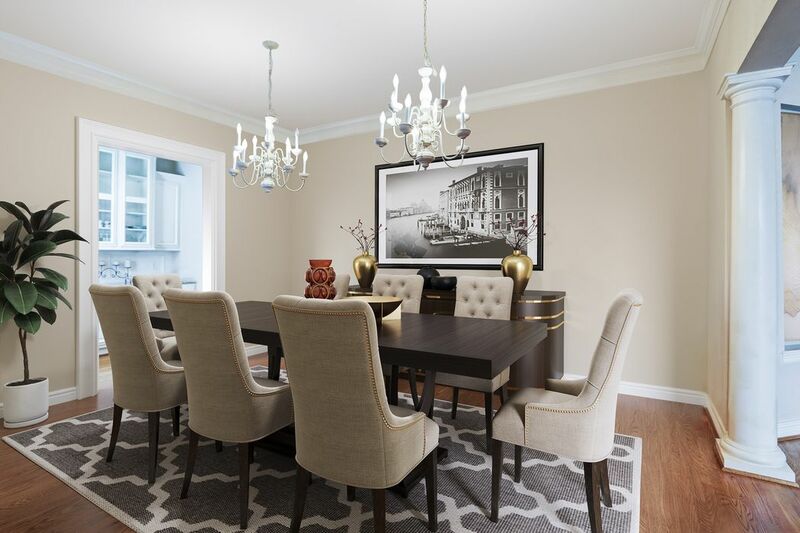 Gorgeous formal dining room with hardwood floors, 2 chandeliers and plenty of room for all of your gatherings.Picture is virtually staged. 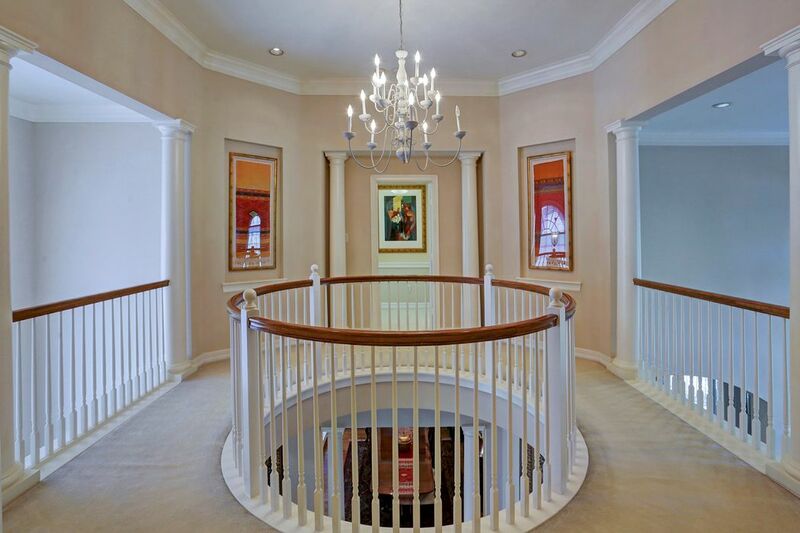 Second floor landing with great walls for art work, chandelier. 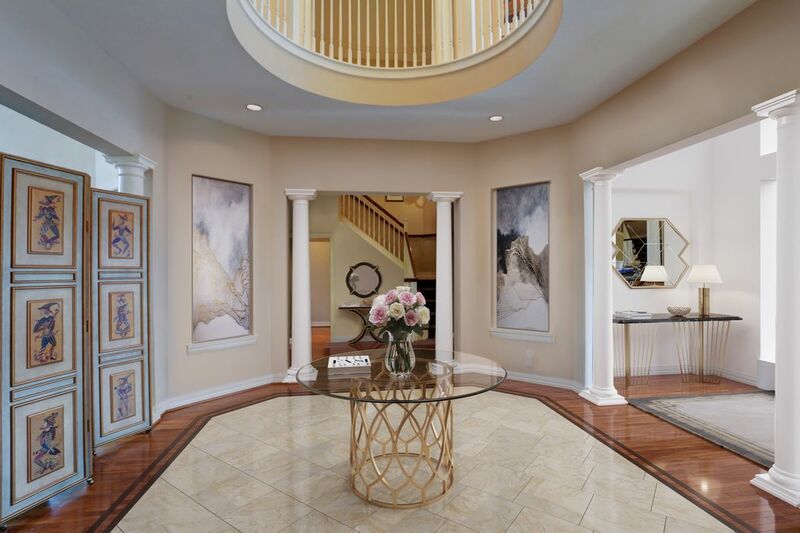 Elegant foyer with great detailing and circular opening to second floor. Such a dramatic entry. Island kitchen has granite countertops and, double ovens plus microwave, tile floors and backsplash and bar open to breakfast room. Lots of storage and lots of counter space. Downstairs study/computer nook - great way to keep organized and have thing close at hand. 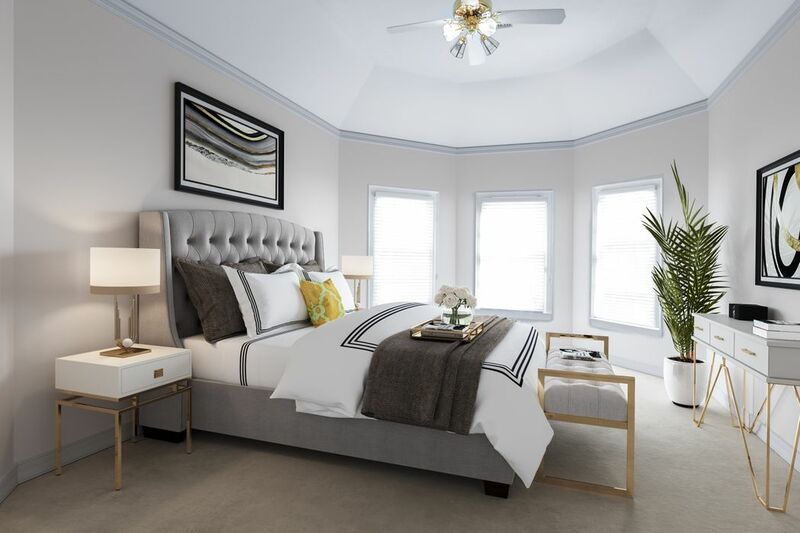 Spacious master bedroom with ceiling fan, coffered ceiling and lots of light from great windows.Picture is virtually staged. 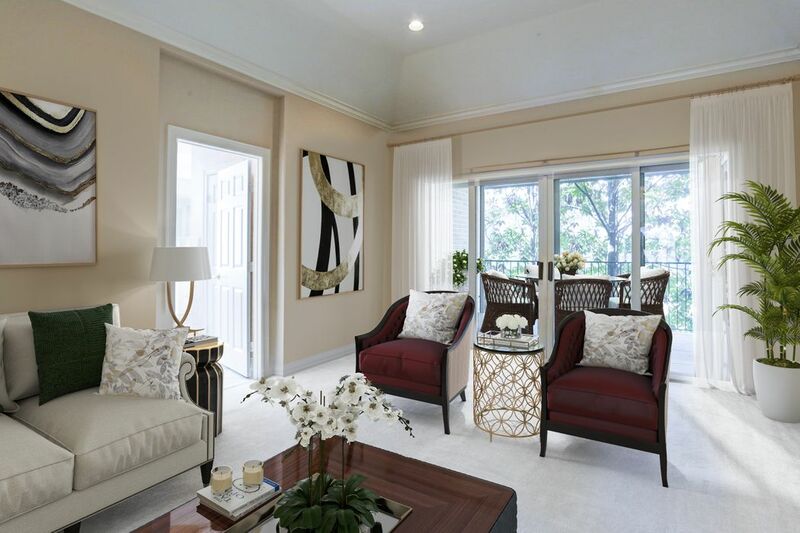 Sunny sitting room adjacent to master bedroom opening to balcony. Would also make a great office/study area. Picture is virtually staged. 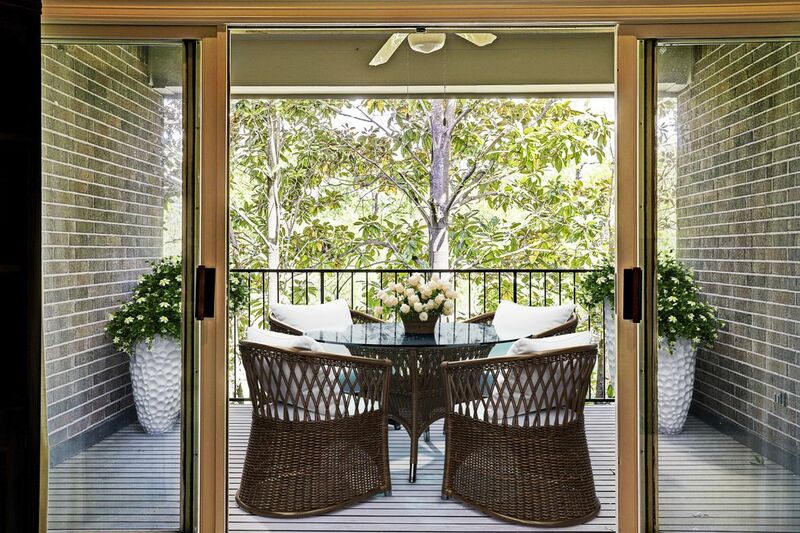 Delightful balcony off of master suite/sitting area overlooking the trees. Ceiling fan - wonderful spot to get away!Picture is virtually staged. 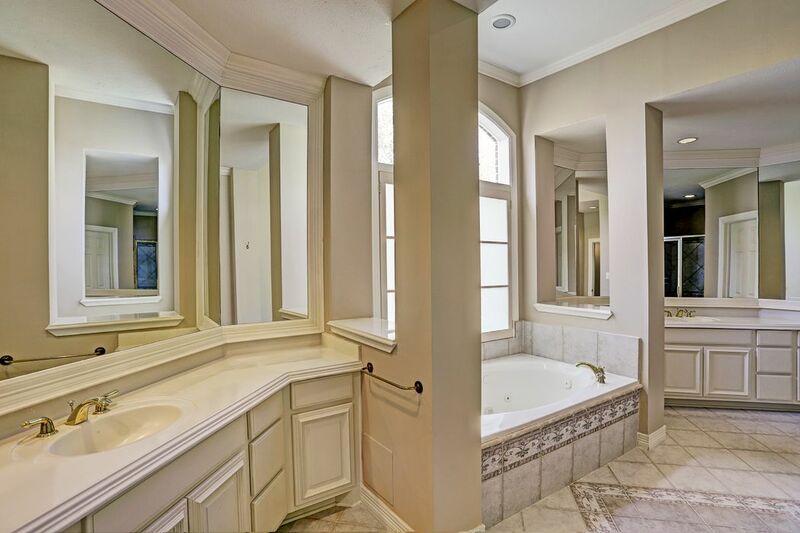 Luxurious master bath with double sinks, separate shower, whirlpool tub and two large walk-in closets. 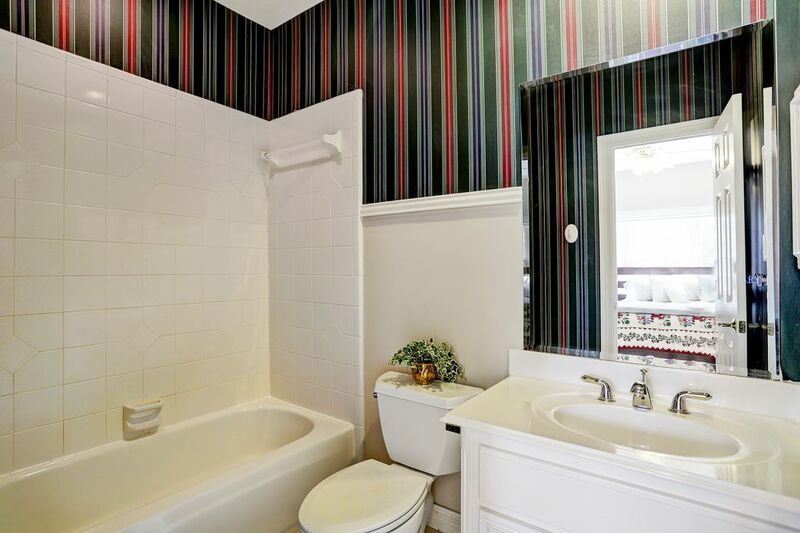 Master bath has lots of space and lots of light making it feel so open and bright. One of the secondary bedrooms each with their en suite bath and large closet. Upstairs bedroom with its own bath and walk in closet. 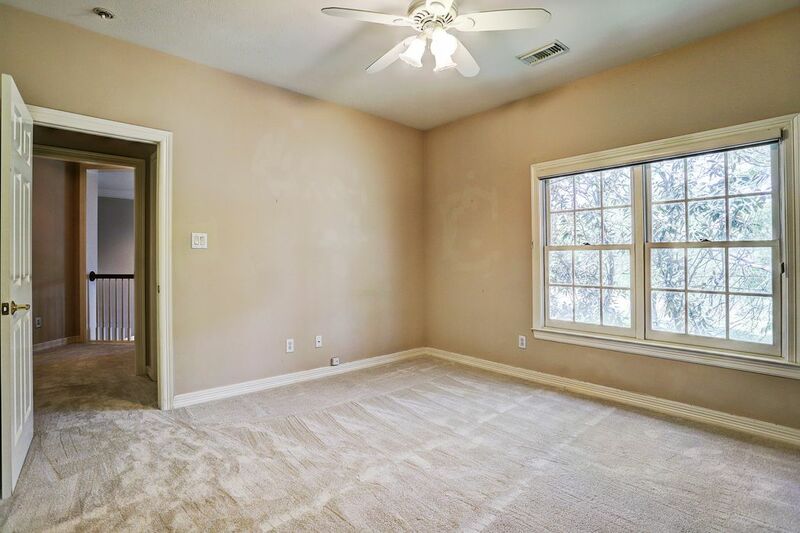 Ceiling fan, new carpet and windows offering view of the trees. Bath with tub/shower adjacent to upstairs back bedroom. 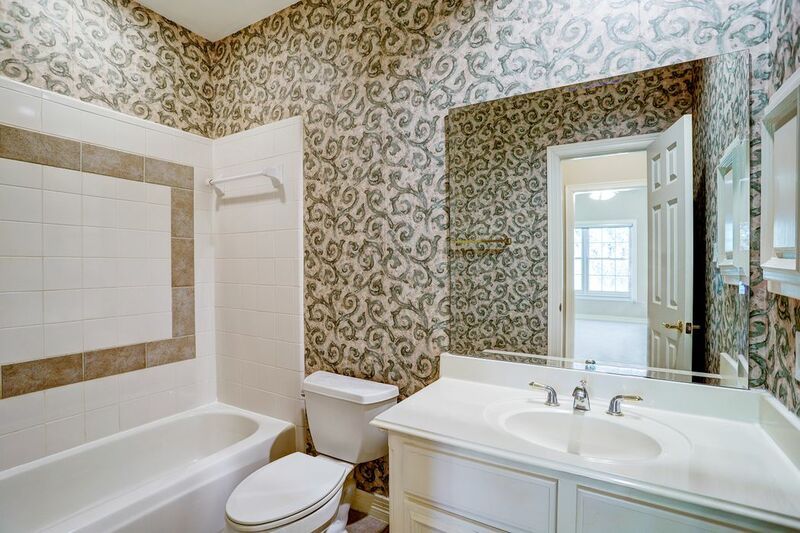 Bathroom with tub/shower opening into front upstairs bedroom. 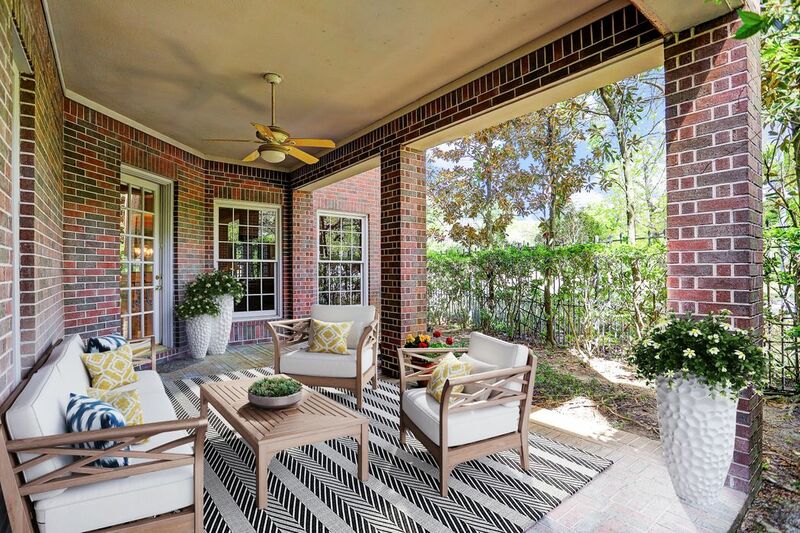 French door from family room to one of two gracious patios. Great place to relax . Picture is virtually staged. $899,000 4 Bedrooms4 Full / 1 Partial Baths5,405 sq. ft. 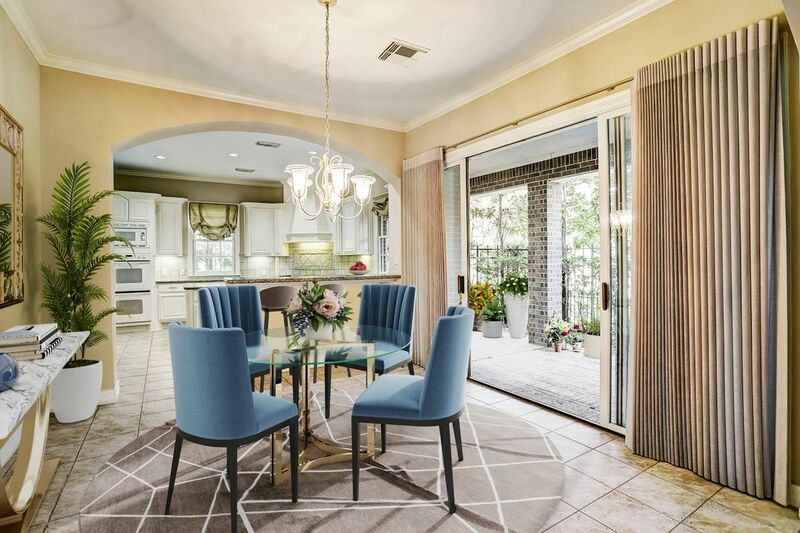 Wonderful and spacious patio home in gated community off of Wynden Lane. Light and bright with great windows. 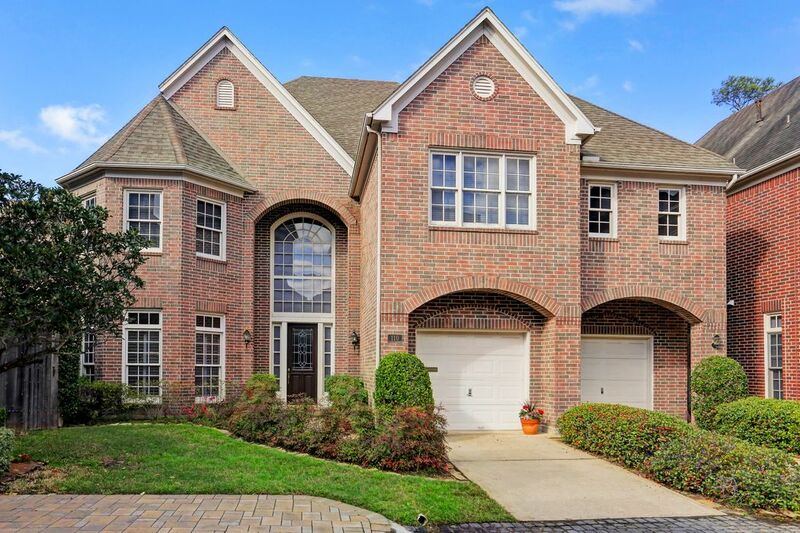 Family room has beautiful hardwood floors, soaring ceilings, fireplace and access to charming covered brick patio. 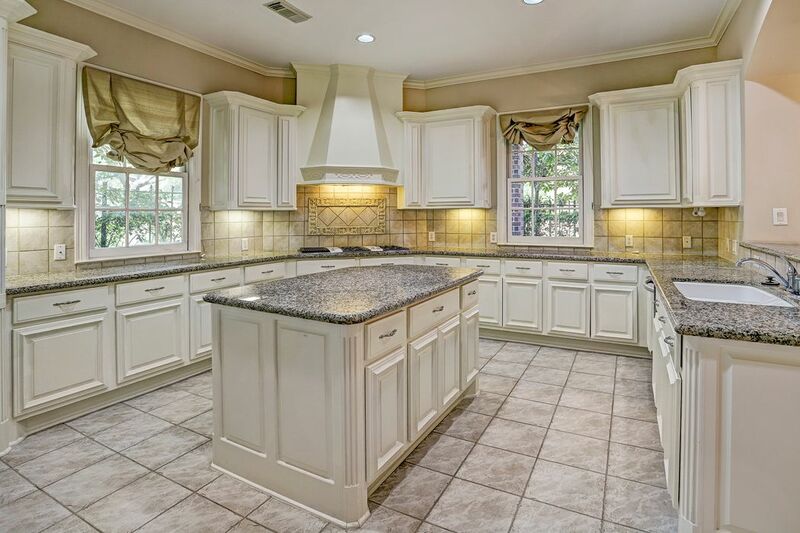 Large island kitchen, breakfast room with doors to patio, downstairs home office, elegant formal dining room. All bedrooms are upstairs with en suite baths. 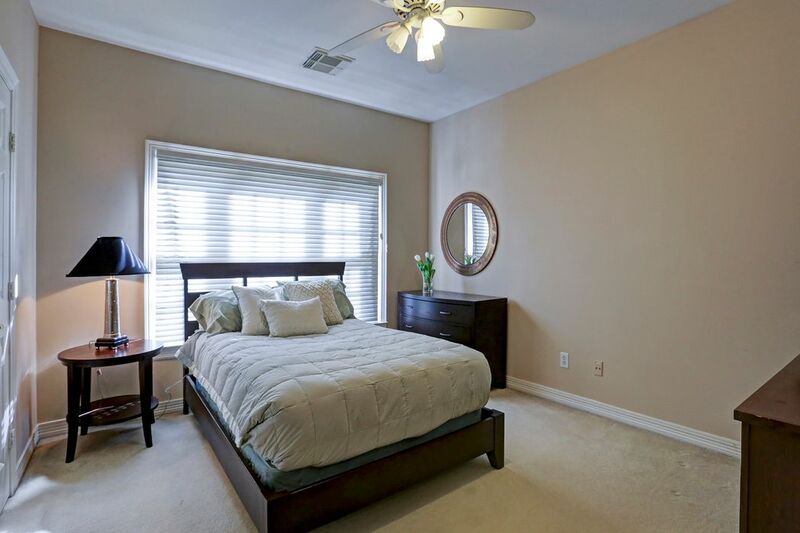 Master suite has large bedroom and separate sitting area or study. This is a great floor plan and has inviting spaces inside and out. Many updates in 2018 including new roof and carpet.